Cryptocurrencies such as Bitcoin are establishing themselves as an investment asset and are often named the New Gold. This study, however, shows that the two assets could barely be more different. Firstly, we analyze and compare conditional variance properties of Bitcoin and Gold as well as other assets and nd differences in their structure. Secondly, we implement a BEKK-GARCH model to estimate time-varying conditional correlations. Gold plays an important role in financial markets with flight-to-quality in times of market distress. Our results show that Bitcoin behaves as the exact opposite and it positively correlates with downward markets. Lastly, we analyze the properties of Bitcoin as portfolio component and nd no evidence for hedging capabilities. We conclude that Bitcoin and Gold feature fundamentally different properties as assets and linkages to equity markets. Our results hold for the broad cryptocurrency index CRIX. As of now, Bitcoin does not reflect any distinctive properties of Gold other than asymmetric response in variance. fied based on volatility behavior and how they are correlated with already established asset classes. The analysis in this paper is subdivided into three parts. Firstly, we start by investigating the volatility behavior of cryptocurrencies in comparison to stock indices and commodities. fier are positively (on average), but not perfectly correlated to other assets. fferent from the correlationsof Gold and the index is the behavior during market distress. Interestingly, correlations are steeply increasing from negative to a positive relationship while the index is in a downward movement. This indicates that Bitcoin follows the downturn, which is observable in the raw as well as smoothed correlations in Fig. 4. 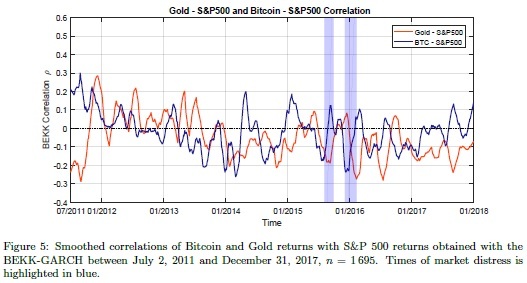 The same behavior holds for the Bitcoin - MSCI World correlations. While Gold prices increase in the flight-to-quality, Bitcoin prices are decreasing with the markets. We document that several well known asset-pricing implications of accruals differ for investment and non-investment-related components. Exposure to an investment-accruals factor explains the cross-section of returns better than the accruals themselves, and this factor’s returns are negatively predicted by sentiment. The opposite results hold for non-investment accruals. 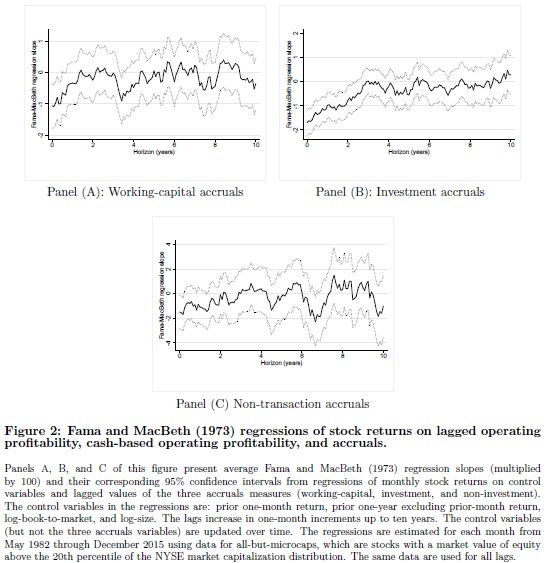 Further tests show cash profitability only subsumes long-term non-investment accruals in the cross-section of returns and economy-wide investment accruals negatively predict stock-market returns while other accruals do not. These results challenge existing accruals-anomaly theories and help resolve mixed evidence by showing that the anomaly is two separate phenomena: a risk-based investment accruals premium and a mispricing of non-investment accruals. Characteristics-vs-covariances tests show that an investment-accruals factor better explains the cross-section of returns than the investment accruals themselves. 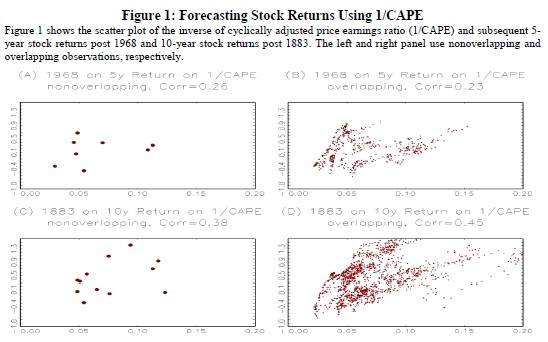 This result is evidence against earnings fixation and profitability-related mispricing explanations of the investment-accruals premium, which do not predict a factor structure of returns. In contrast, the opposite pattern holds for non-investment accruals, consistent with mispricing in the form of a violation of the law of one price. These results are corroborated by evidence that investment accruals predict the cross-section of returns for more than two years (consistent with persistent risk) while non-investment accruals only predict returns for one to eight months (consistent with short-lived mispricing). tability of non-investment accruals in low-sentiment times challenges the theory that anomaly returns should increase with sentiment because of the relative difficulty in arbitraging over-valuation. Following Lewellen and Resutek (2016), we decompose total accruals into three components: working-capital accruals (WC), long-term investment accruals (IA), and long-term non-investment or "nontransaction" accruals (NTA). The IA component includes items such as new PP&E that represent expenditures in real investment. The WC and NTA include items such as accounts payable and receivable as well as depreciation that do not represent new long-term investment expenditures, but only transitory accounting adjustments to cash flows. Hence we refer to WC and NTA collectively as "non-investment accruals". cant for up to 28 additional months. Overall, the evidence from Figure 2 is consistent with the IA premium arising from risk, whereas WC and NTA premia appear to be consistent with mispricing that is arbitraged away after several months. 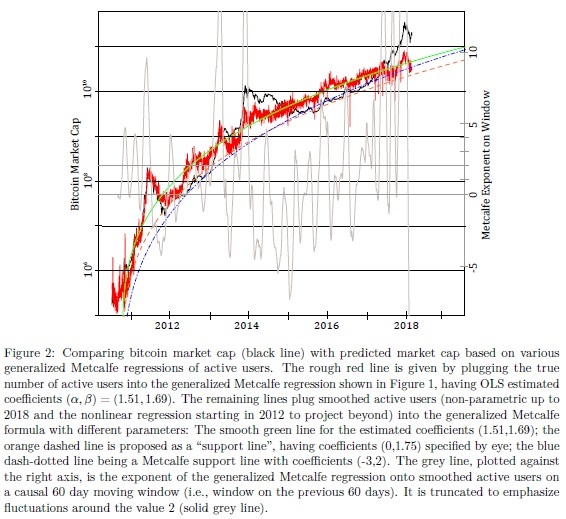 This paper examines the day of the week effect in the crypto currency market using a variety of statistical techniques (average analysis, Student's t-test, ANOVA, the Kruskal-Wallis test, and regression analysis with dummy variables) as well as a trading simulation approach. Most crypto currencies (LiteCoin, Ripple, Dash) are found not to exhibit this anomaly. The only exception is BitCoin, for which returns on Mondays are significantly higher than those on the other days of the week. In this case the trading simulation analysis shows that there exist exploitable profit opportunities that can be interpreted as evidence against efficiency of the crypto currency market. "There exists a vast literature analysing calendar anomalies (the Day of the Week Effect , theTurn of the Month Effect, the Month of the Year Effect, the January Effect, the HolidayEffect, the Halloween Effect etc. ), and whether or not these can be seen as evidence againstthe Efficient Market Hypothesis. However, with one exception (Kurihara and Fukushima, 2017) to date no study has analysed such issues in the context of the crypto currency market – this being a newly developed market, it might still be relatively inefficient and it might offer more opportunities for making abnormal profits by adopting trading strategies exploiting calendar anomalies. We focus in particular on the day of the week effect, and for robustness purposes apply a variety of statistical methods (average analysis, Student's ttest, ANOVA, the Kruskal-Wallis test, and regression analysis with dummy variables) as well as a trading robot approach that replicates the actions of traders to examine whether or not such an anomaly gives rise to exploitable profit opportunities. We examine daily data for 4 crypto currencies, choosing those with the highest market capitalisation and the longest data span (2013-2017), namely BitCoin, LiteCoin, Ripple and Dash. The data source is CoinMarketCap (https://coinmarketcap.com/coins/). The complete set of results can be found in Appendix B. The results of the parametric and non-parametric tests are reported in Appendices C, D, E and F) and summarised in Table 3 and 4. There is clear evidence of an anomaly only in the case of BitCoin. Since the anomaly occurs on Mondays (when returns are much higher than on the other days of the week) the trading strategy will be the following: open long positions on Monday and close them at the end of this day. The trading simulation results are reported in Table 5. In general this strategy is profitable, both for the full sample and for individual years, but in most cases the results are not statistically different from the random trading case, and therefore they do not represent evidence of market inefficiency.